TseboFS Wins the 2017 PMR Diamond Arrow Award…Again! Tsebo Facilities Solutions in recognition of our employee’s long service, appreciated the opportunity to celebrate & thank its loyal employees by presenting awards to all those who dedicated their time in contributing to the success of Tsebo FS. Tsebo Facilities Solutions Retains the Diamond Arrow Award. 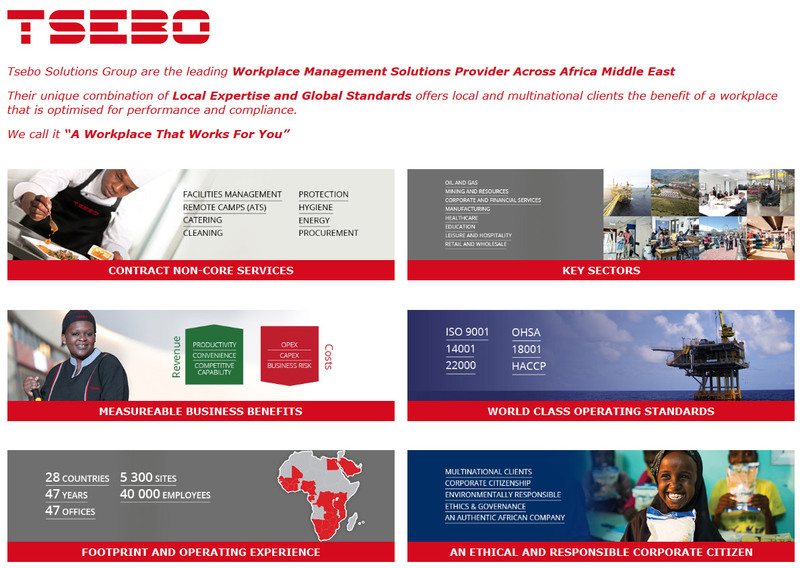 Tsebo Facilities Solutions has yet again been recognised as the best External Facilities Management provider in South Africa for the 5th year in succession. Andrew Mason, Tsebo Facilities Solutions Director, was at the Business Leaders breakfast hosted by PMR Africa on the 16th September to accept the award on behalf of Tsebo FS.